It’s that time of year again for Americans. You have received your W-2 and are eager to file your tax return, especially if you anticipate a refund. Every year, the Internal Revenue Service (IRS) warns taxpayers to beware of phishing scams used by con artists to steal your identity, cash, and sense of security. This year is no different. Classic phish: Last tax season, a bogus email warned recipients they would be penalized up to $10,000 for not filing their taxes by a false deadline of January 31st. They were instructed to follow a link which went to a phony site that appeared to be the official IRS website. They were asked to provide personal or financial information that could be used by scammers and identity thieves. 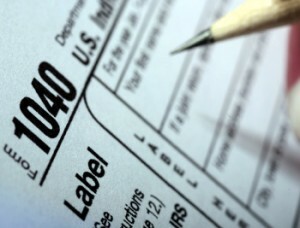 Don’t be misled by sites claiming to be the IRS but ending in .com, .net, .org or other designations instead of .gov. Updated smish: Scammers used smishing, phishing that’s conducted over short message service (SMS)—or texts, to pose as H&R Block tax preparers in an attempt to gain access to personal information. Victims reported text messages that detailed a problem with their Emerald Card, a debit card through H&R Block that allows customers to receive their tax refunds more quickly. The text message instructed customers to call a phone number to verify their account information. That information was used by crooks to steal refunds. The IRS does not initiate contact with taxpayers by email, text, or social media to request personal or financial information. Old-school scams: College campuses are reporting a tax scam centered on a misleading and bogus education tax refund claim. Scammers posted flyers on college campuses and advertised on the internet, persuading students to give their Social Security number and bank account information, as well as pay a preparation fee. Once the scammers get the information, they file a fraudulent tax return on the student’s behalf, keep the preparation fee, and use the bank account information for their own means. All taxpayers, including those who use paid tax preparers, are legally responsible for the accuracy of their returns, and must repay any refunds received in error, plus any interest and applicable penalties. Suspicious emails should be forwarded to the IRS at phishing@irs.gov. More information at http://www.irs.gov/uac/Report-Phishing.